attendance, events, finances and more. Thousands of churches like yours love ChurchTrac. "This is a great product. It's definitely the most user-friendly option out there. It does everything I could ask for and the cost is fantastic." "I'm amazed at the functionality that is being offered for this price. Nothing else I've seen comes close." "I have used many different church software companies... ChurchTrac has better support than all of them. This is a must have for ministry!" "We left Fellowship One and found ChurchTrac, an easy-to-use software and a price that just can't be beat. Their mission is obvious from their passion to serve their customers." "We have used several other programs, but we've found ChurchTrac to be the best. This is the most cost effective for small churches and much easier to use." less time on a screen. 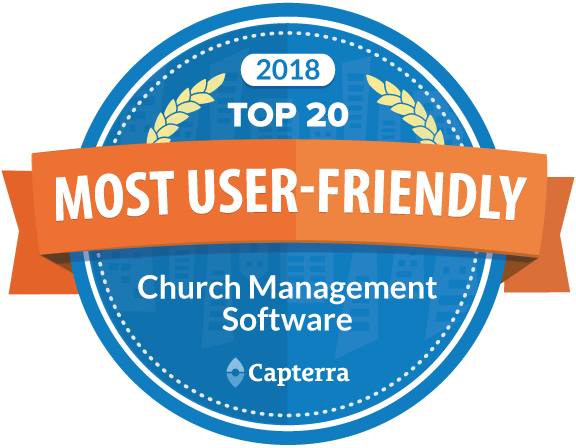 Out of more than 200 ChMS applications, Capterra has consistently awarded ChurchTrac as the #1 Most User-Friendly and Affordable. 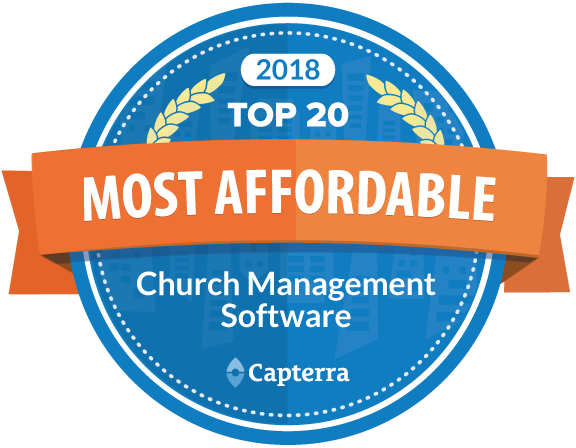 Capterra has also demonstrated that ChurchTrac is the fastest church application available on the planet, beating out Breeze, Elvanto, Planning Center and hundreds more! Keep up with members, prospects and guests. Record baptisms and important dates. Organize your ministry teams. Improve communication. Track spiritual progress. Track SHAPE ministry profiles. Print absentee reports. Plan and schedule events. Track contributions. Print giving statements. Balance your bank account. Generate church budgets. Organize pledge campaigns. Accept Online Giving. Notate allergies and instructions from parents. Improve communication in your church. Send voice and text messages (Additional fees apply). Send emails to one or many. Print letters and labels. Sunday School, worship and other events. Print reports and view attendance trends. Keep up with guests and visitors. Generate maps and print visitation profiles. Attach reminders to notes or events. Organize small groups. Setup leadership teams. Allow your congregation to access and update their profiles. Keep up with calendar events. Share your calendar on your church's website or blog. Log in from any internet-connected computer, phone or tablet. What can I do with ChurchTrac? Keep track of people and families. Print a photo directory. Send messages. Track important dates. Secure your children's areas, print security and name labels, track allergies and special needs. Connect people to events. Track volunteers. Register people for events. Schedule facilities. Keep track of groups, classes and attendance (including Sunday school and worship attendance). Keep track of tithes, contributions, offerings and pledges. Print contribution statements. Accept online donations. Choose from several photo directory styles, or create your own custom directories and reports. Your members can update their own profiles, print giving statements, directories and more. Print letters and mailing labels. Send email, voice and text messages. Sync with MailChimp. Including calendars, maps, roll sheets, SHAPE ministry profiles, and more! Today, the church software market is flooded with applications that are unimpressive, overpriced, and difficult to use. Plus, it's hard to get support when you need it. We decided to be different. Thousands of Churches Trust Us. We're not a new, fly-by-night operation. We've been writing church software and helping churches do better ministry since 2002. We Know Ministry Inside and Out. We're the only major church software application on the planet that was conceived, designed and programmed entirely by pastors. Most companies employ sales ninjas to push their product--and they won't even tell you their prices until you've jumped through all their hoops. (We don't have any hoops...or ninjas). You Can Try It For Free. We offer a 30 day trial period with no credit card or commitment required. We think our product is good enough to sell itself, and it doesn't cost you anything until you agree with us about that. We designed it to be intuitive. In fact, it's so easy to use that 64% of our paid customers have never had to contact us to ask a question or get support. We're able to resolve about 87% of support issues within 1 business hour (and about 96% of support issues within one business day). We maintain an industry-leading 99.9999% uptime, which means you can access your data from any internet-connected device...anytime. You Can Actually Afford It. Most pastors pay more for their morning coffee than for our software. Oh, and we don't charge a setup fee, an import fee, or a fee for tech support. We Care About Smaller Churches Too. Churches of all sizes do great ministry. We'll treat you the same whether your church has 10 families or 10,000 families. Our people are paid for how well they help you, not for how much software they sell. build worship outlines and plan out rehearsals. For that we made WorshipTrac. Absolutely. All of our plans include tech support. In fact, we're pretty sure our support is unmatched in the church software world. Ask us a question and give our support a try! Most people are shocked by our prices...but in a good way! We think that churches of any size should have access to great, awarding-winning software to help them with ministry. That's why we've priced ChurchTrac so that any church can afford it. Visit our pricing page to learn more. Can I import my data? Whether you're new to church software, or switching from another provider, we want to make using ChurchTrac as quick and as easy as possible. We offer a free data import with every new account, even trial accounts! Just reach out to us after starting your trial, and we can help transfer your data to ChurchTrac. Can I use it on my phone? Tablet? You can use ChurchTrac on any internet-connected device. We've engineered the application to be usable (and useful) regardless of your screen size (though some things, like check-in, work better on bigger screens). And since ChurchTrac is web-based, you don't need to download or install anything on your computer or device to use it... just visit our website and log in! Can ChurchTrac do (fill in the blank) ? If there's something you need, we've probably already thought of it and included it. In addition to managing people, ChurchTrac can handle messaging, check-in, attendance, giving (even online giving), pledges, budgets, accounting and more. We've done everything we can think of to make ChurchTrac the best, most secure church management application available. We use advanced, proprietary firewall systems to keep snoopers out and to keep your data safe. Our company was formed "in the trenches", so to speak, where ministry meets need. ChurchTrac was conceived back in 2002 when our company founder, Byron Tedder, developed a simple database at the request of his pastor. His church needed something to keep track of spiritual gifts, ministry positions and prospects. Over the next year Byron continued working on this project, and ultimately ChurchTrac was born. Today, our team continues to build and improve ChurchTrac, constantly adding new features and functionality. With thousands of churches using the application (and more each day!) 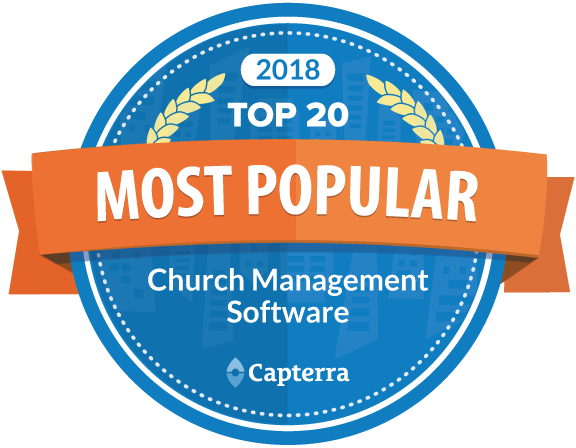 ChurchTrac has grown to be the premier church management software--in the world! Yes, ChurchTrac has come a long way since its early days, but we've never forgotten our roots of providing powerful, affordable software to help with ministry. In fact, we believe that God has called and chosen the local Christian church to impact the world by spreading the message of His Son Jesus Christ. Our company and its products exist to support the churches and ministries who share this belief, and to equip its leaders to do effective ministry. Our mission is to enable Christian churches, ministries and leaders by providing excellent products and support at a price that is reasonable. Congregation Access Is Now "Member Access"
Copyright 2018 ChurchTrac Software, Inc.